Time to crack open some more goodies from my recent haul at the Wyong Field Day – this time, it’s three old discontinued Jaycar kits from the past. 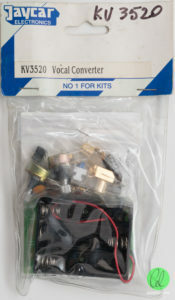 The first kit I attempted was the KV3520 Vocal Converter. A very interesting name for a kit – does it convert my mindless humming into vocals? I don’t think so … perhaps they mean pitch-shifter or voice modulator. 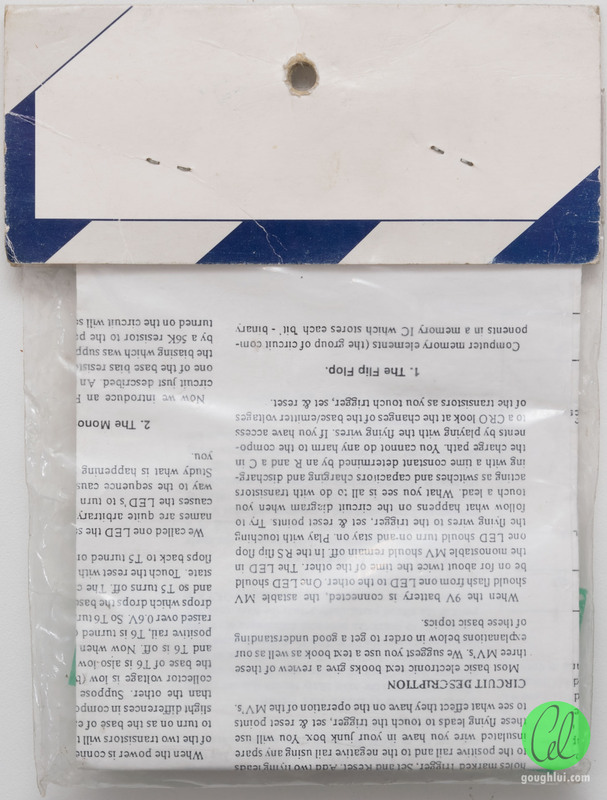 Anyway, this kit comes in a thick PVC pouch stapled to a cardboard hanging tag for retail display. 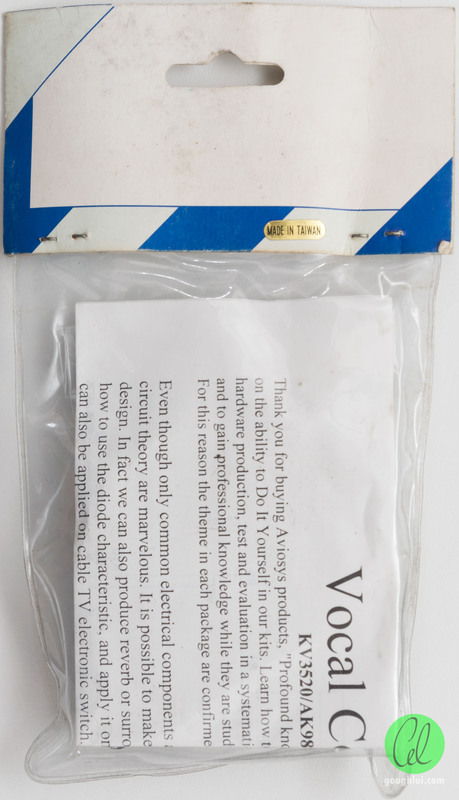 Inside the pouch, there are instructions, the PCB, a three AA cell battery holder and a bag of components. A look at the instructions thanks us for “buying Aviosys products”. As a result, it seems that this is actually an Aviosys kit that Jaycar have rebranded. 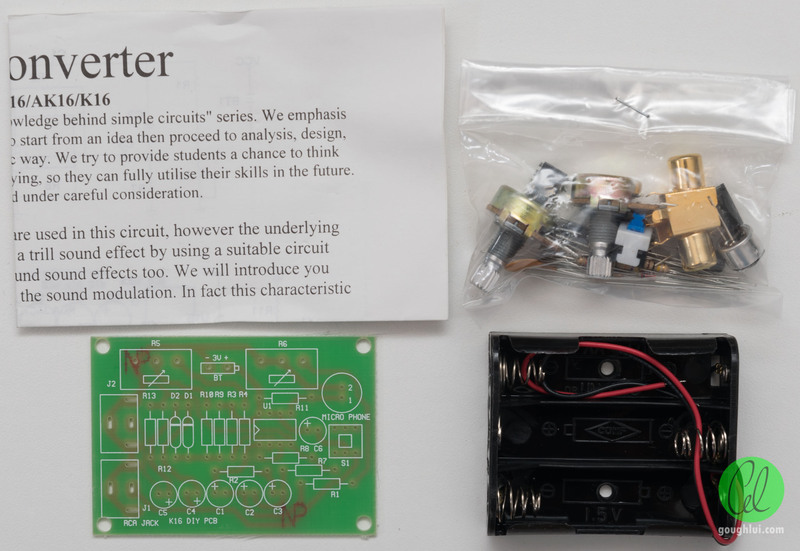 The English text uses some very unusual expressions, but seems to show the circuit to be a voice modulator based on an oscillator feeding into diodes which mix the carrier signal with the microphone or RCA input – kind of similar to how radios work. Quite helpfully, the colour code for the resistors are mentioned on the bill of materials, although not having the values labelled on the schematic means a lot of page-flipping. 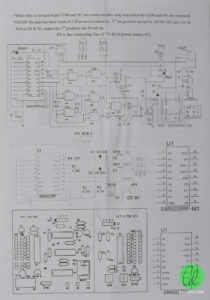 The supplied components are as above, including a PTC2308 stereo headphone driver as the main heart of the circuit. 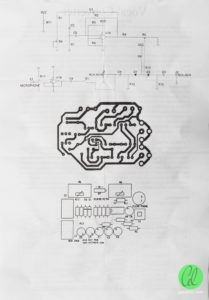 Seems a little simple compared to other circuits I’ve seen. Judging from the chip and components, the kit probably dates from about 1998. 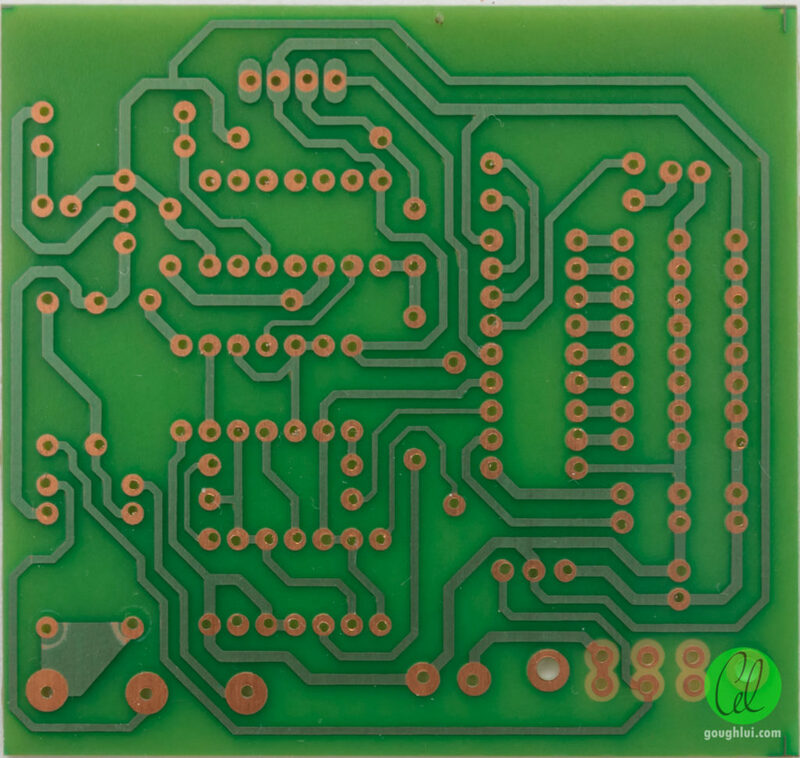 The PCB is a fibreglass substrate board, single-sided with white silkscreening on the top. 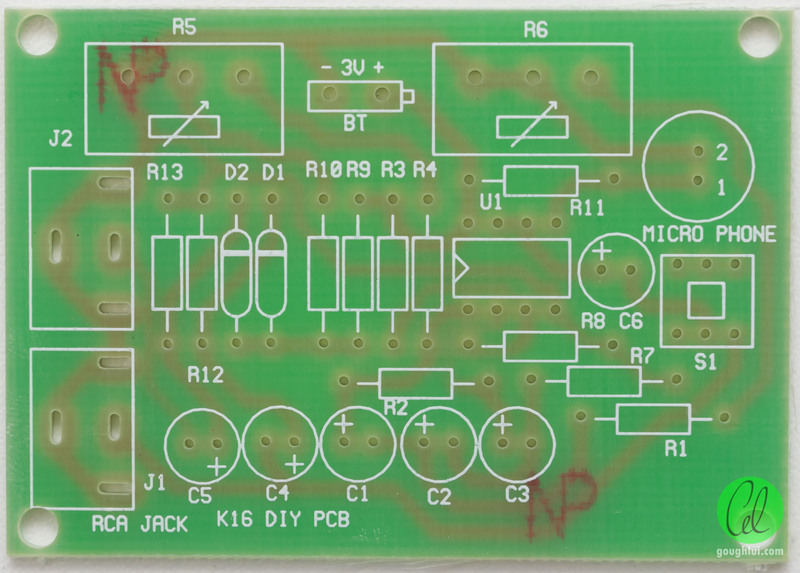 The silkscreen is fairly brief, marked K16 DIY PCB. 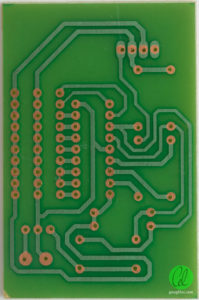 The underside is a tin-plated finish with green solder-resist finish. A good quality board with fairly good donut shape and generous spacing for novices, making it easier to build. Construction was relatively straightforward although it seems the substitution of ceramic capacitors for electrolytics resulted in poor fit. 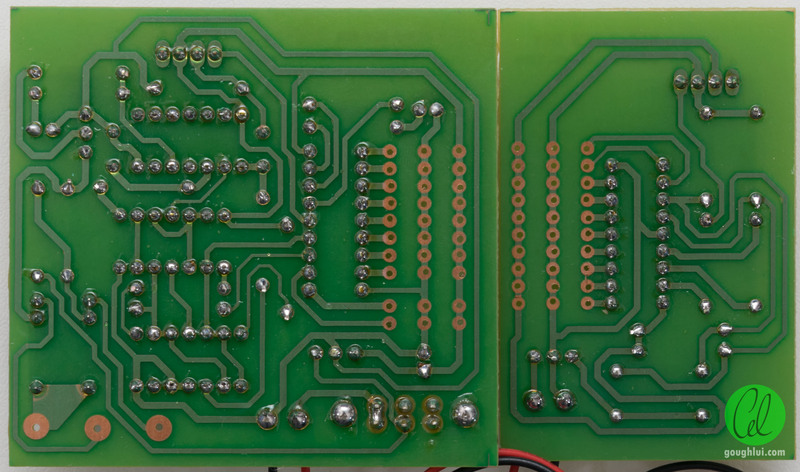 The trimpots were slightly tricky, but the IC-socket was the worst with the legs refusing to take solder initially possibly because they were tarnished. As I have moved to the thicker, flux-ier solder, there is some flux residue on the board but otherwise, it looks fairly neat and construction was mostly easy with generous donut sizes and clearances. Unfortunately, I was not able to get it to work properly. I suspected maybe I did something wrong with resistor values but I couldn’t figure out where. I cleaned the flux off the board, thinking the residue was at fault, but no. 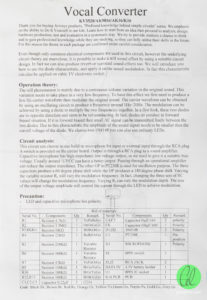 The board also claims to want 3V, but was supplied with a 3xAA providing 4.5V, but as it turns out, this was not a cause either. My expectation was that one potentiometer would affect modulation depth, the other would affect modulation frequency with the switch choosing microphone or top RCA jack input. The bottom RCA jack would provide output. Instead, I got mostly “clear” amplified voice on the output jack. Turning the potentiometer to the minimum, I was able to hear a very “dull” thumping noise, but turning the potentiometer up seemed to reduce the oscillation, so I suspected the oscillator was not running at the right frequency. 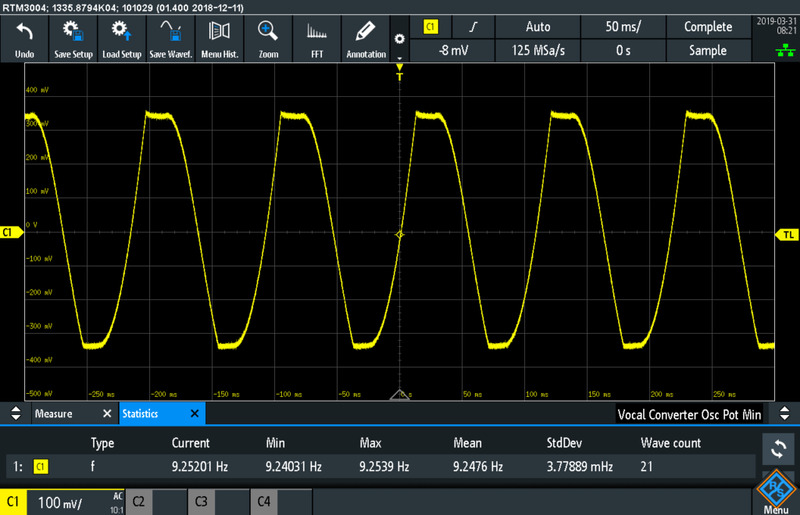 With the potentiometer turned right now, a lopped-off sine wave oscillation at about 9.2Hz was present into the diode mixer. 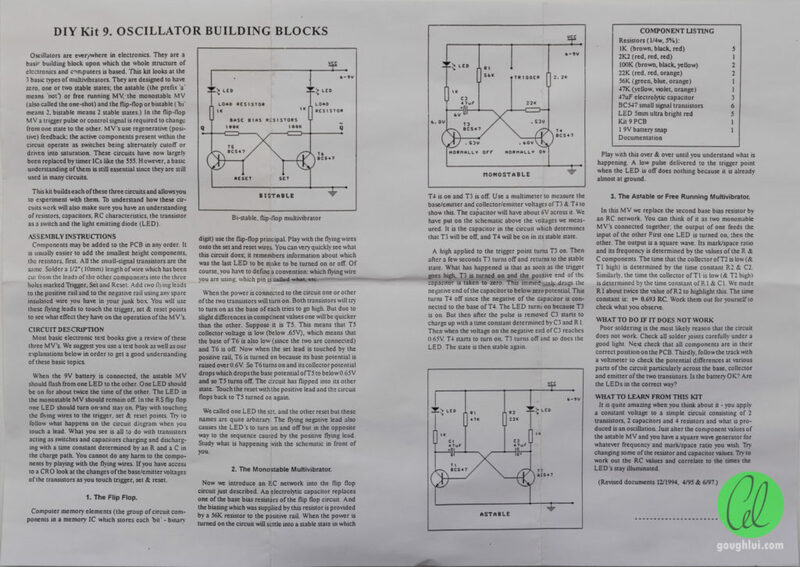 Turning the potentiometer up to about half-way led us into trouble – the oscillation first went into a clean sine wave before gradually fading away suggesting the oscillation was below unity gain and hence not self-sustaining. The frequency was also about 2.5Hz, being quite low. Given this kind of modulation can easily be achieved in modern audio editors (e.g. GoldWave in the Mechanize feature), I didn’t feel like investing more time into working out why the expected oscillations were not occurring. It was a little disappointing to have failed on the first kit, however. 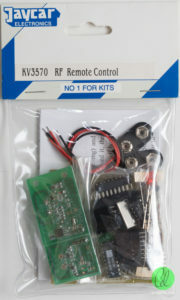 To assuage my disappointment at the first kit, I opened the second, the KV3570 RF Remote Control. This kit was packaged identically, and to nobody’s surprise, it’s another Aviosys product. 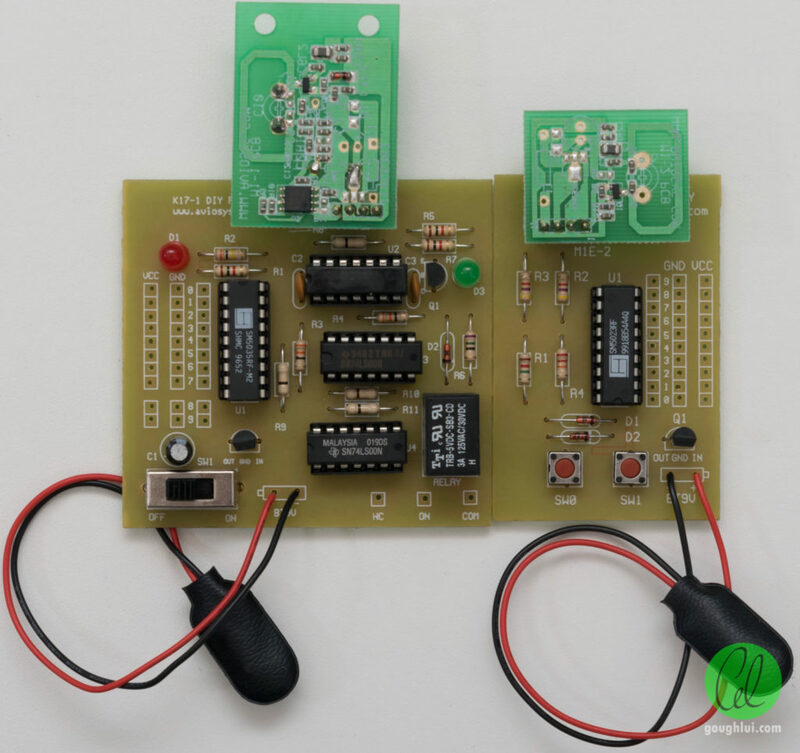 Unlike the other kits, this one comes with two PCBs – one transmitter and one receiver. 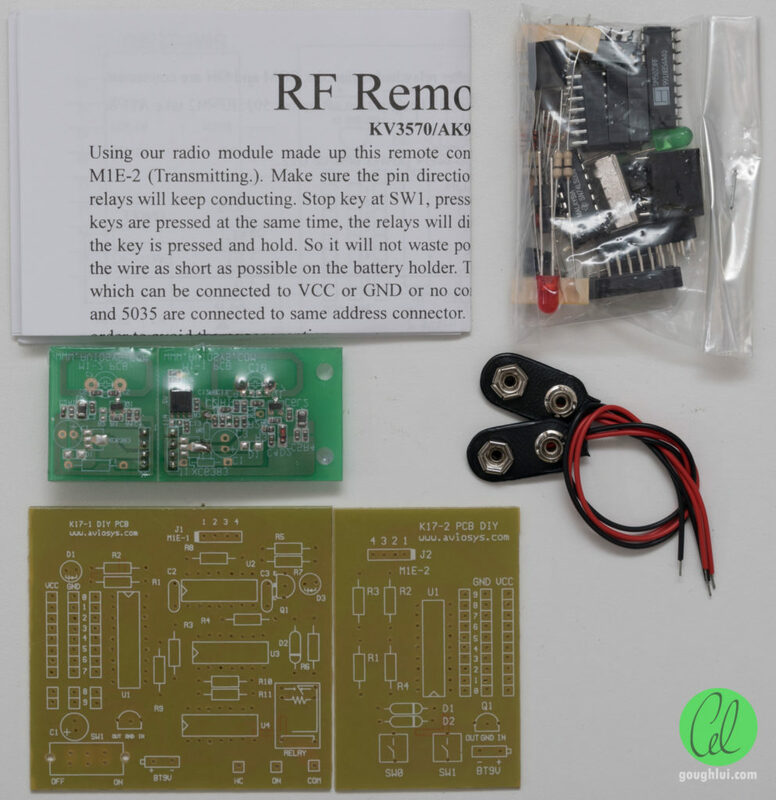 It comes with two 9V battery snaps, a bag of components, a shrink-wrapped radio transmitter/receiver module and a set of instructions. 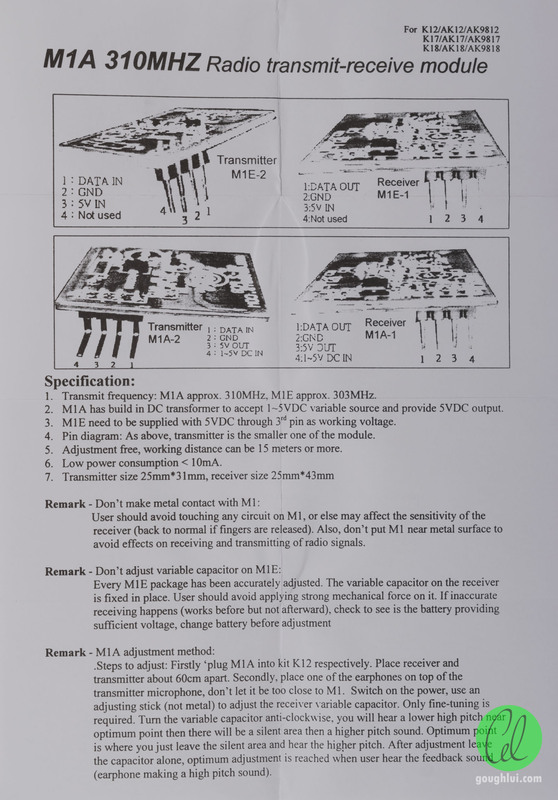 Like the previous kit, a single page leaflet details the design with rather clumsy English and a proper bill of materials and schematic. 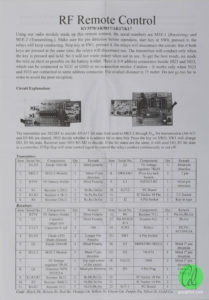 The unit is based around the SM5035RF-M2 and SM5023RF. 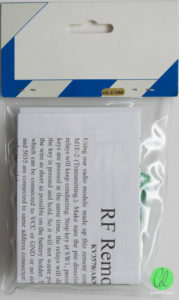 The supplied transmitter and receiver modules are detailed in a second leaf – this one claims to be a 310MHz transmitter/receiver which seems a little odd. The use of 433MHz is more common, but it seems to be permitted (e.g. alarm systems). 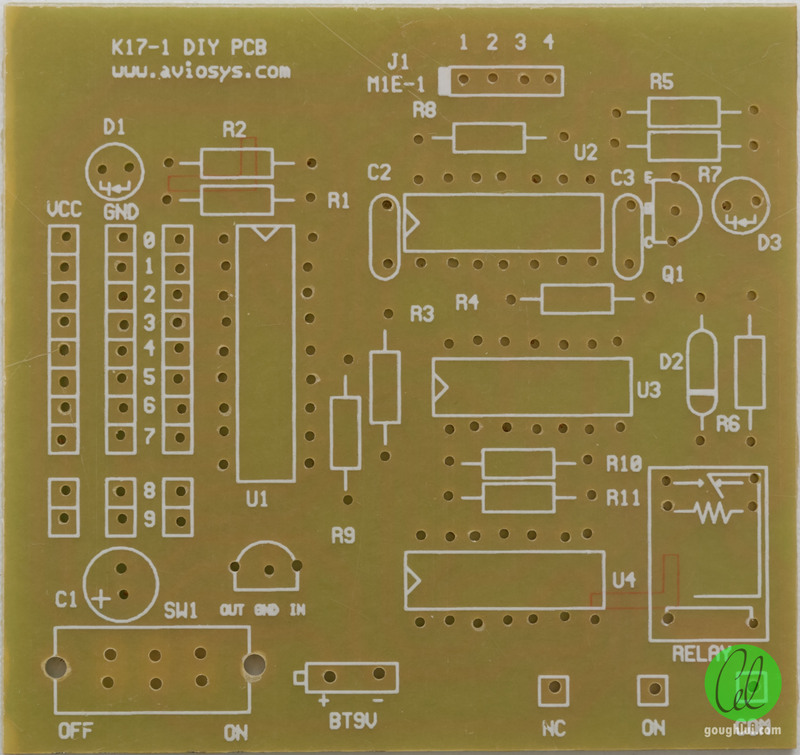 The receiver PCB marked K17-1 DIY PCB is shown above, and it seems we’ve taken a step back on the quality department. 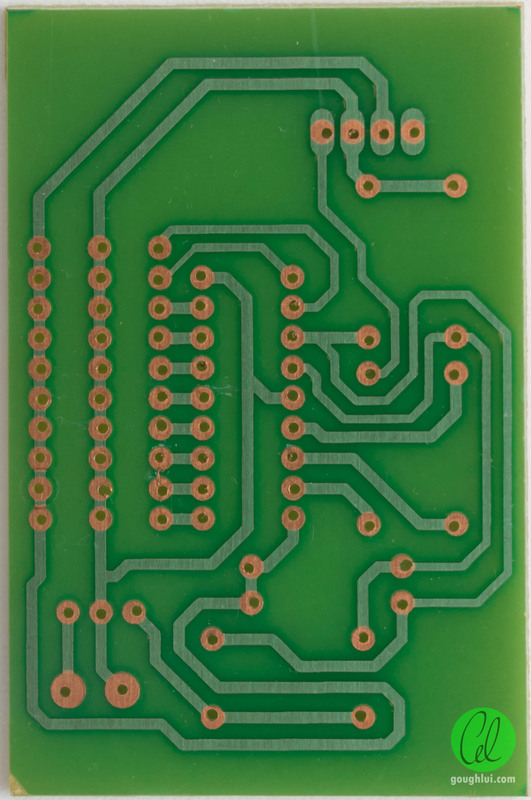 Look at the staggered drill lines on those PCB pins – if we see this today, it would probably be considered a reject PCB due to off-centre drilling! The PCB is also a nasty paper-type board, single-sided with silkscreening on the top. The underside shows that there is a soldermask layer, but it is a varnished copper finish which is not as easy to solder to. 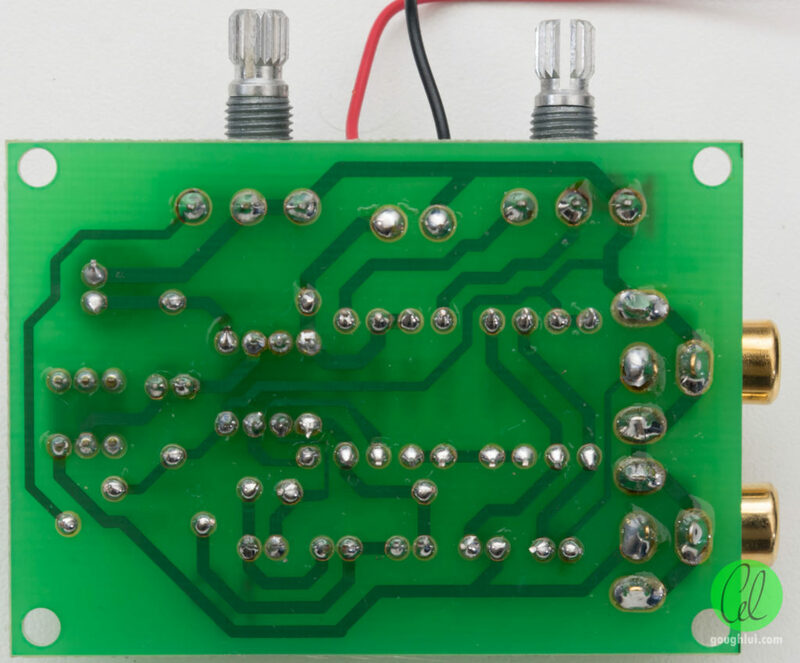 The same can be said of the transmitter counterpart, K17-2 PCB DIY. The assembly is mainly of the components needed to generate and interpret the data stream to and from the radios. The radios are supplied as a complete module, in their own shrink-wrap. These modules use a four pin header connection to the board, and apparently are pre-tuned. 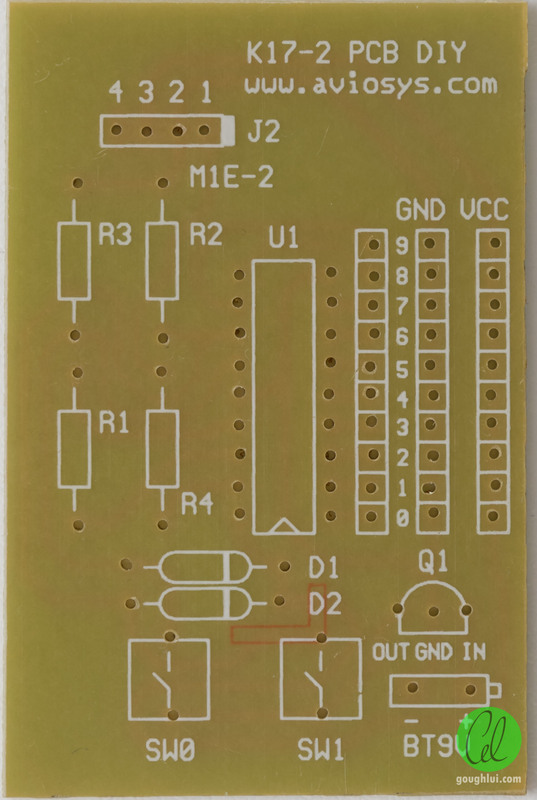 Interestingly, the board has a back-to-front silkscreen – the missing components appear to be for a different version of transmitter/receiver that comes with integrated voltage regulation. 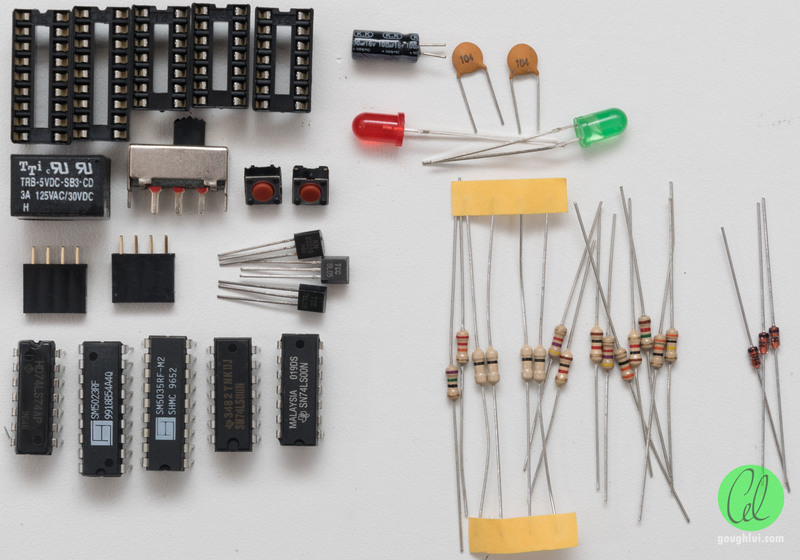 The bag of components contains a number of resistors, diodes, LEDs, capacitors, IC sockets, power switch, tactile buttons, pin-headers, transistors and an “ice-cube” relay. Unfortunately, a few legs were bent along the way, requiring some careful straightening. 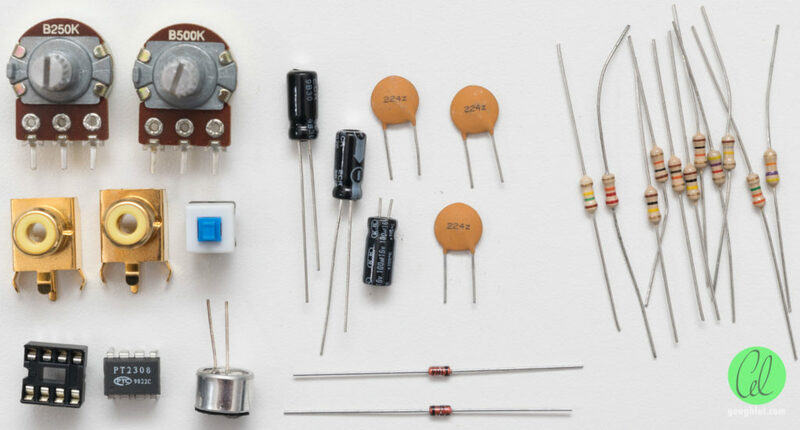 They were even nice enough to include zero-ohm resistors which could just be substituted with wire links – this is due to routing limitations of single-sided boards. 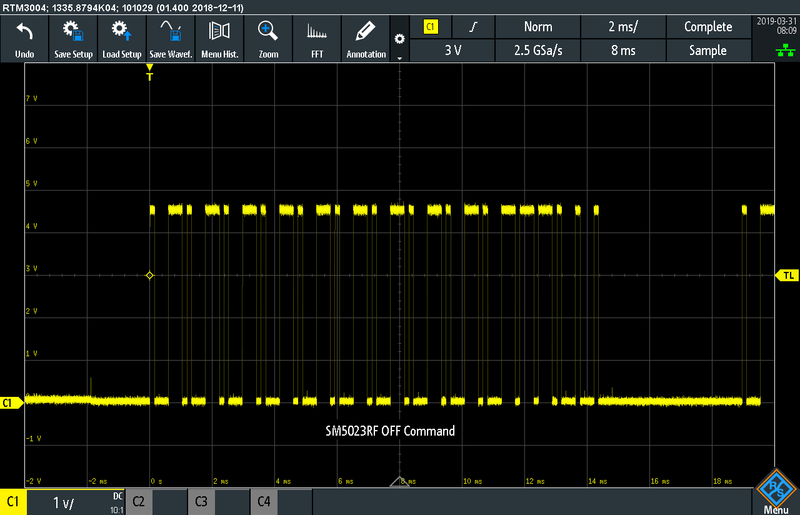 Looking at the date codes on the ICs, it seems to be a mixture of 1996, 1999, 1982 (??) and 2001, so the actual date is not known but perhaps early 2000s is a good guess. 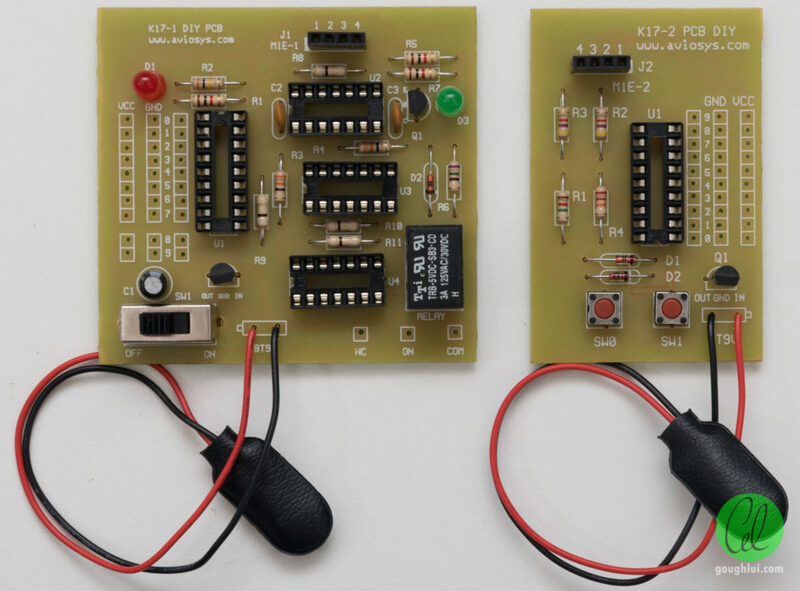 Despite being a larger and seemingly more complex kit, the kit still retained some educational-friendly features such as the wider than usual resistor spacing. I populated the components and the construction went relatively smoothly except for the issue of staggered holes. Because of the holes being mis-positioned, the switch button legs had to be bent to reach (only just) and the slide switch didn’t go in without a fight. Nonetheless, everything did go in after some gentle persuasion. 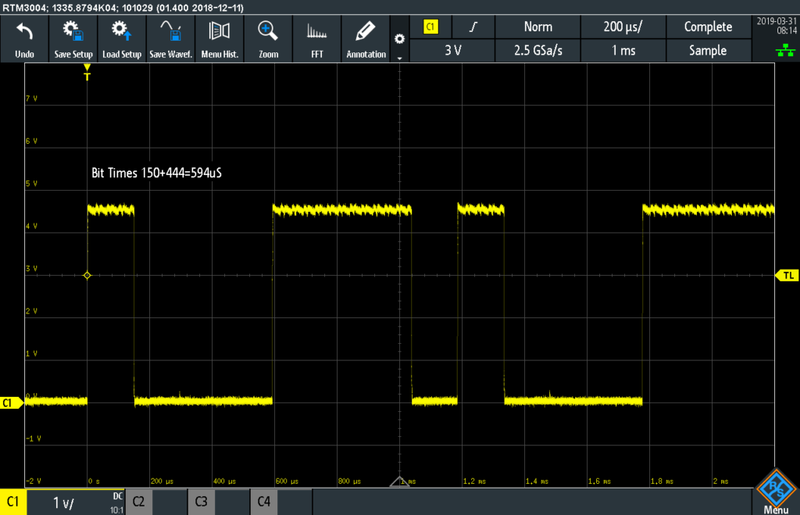 Despite the two units requiring 9V batteries, the first thing they have is a linear 5V regulator, so I suspect bypassing it and powering from 5V is very much possible. Interestingly, after soldering the relay began to secrete an oily liquid … I’m not sure where this comes from. Despite the lacquered copper board finish, soldering went relatively smoothly, possibly due to the slightly more aggressive flux in my flux-ey solder, but it did require a little more “blobby” soldering than usual to ensure the IC-sockets were properly wetted. The large row of open contacts that are unsoldered on both are apparently used to configure a unique “channel” number to prevent collisions, however, leaving them open is a valid option according to the instructions. Completing assembly is a case of fitting the appropriate ICs into each socket, carefully bending the leads to ensure an easy fit and no chance of “crushing” the legs. Then, the radio modules need to be plugged into the headers. This is rather unsightly and not a very “permanent” method of connection. 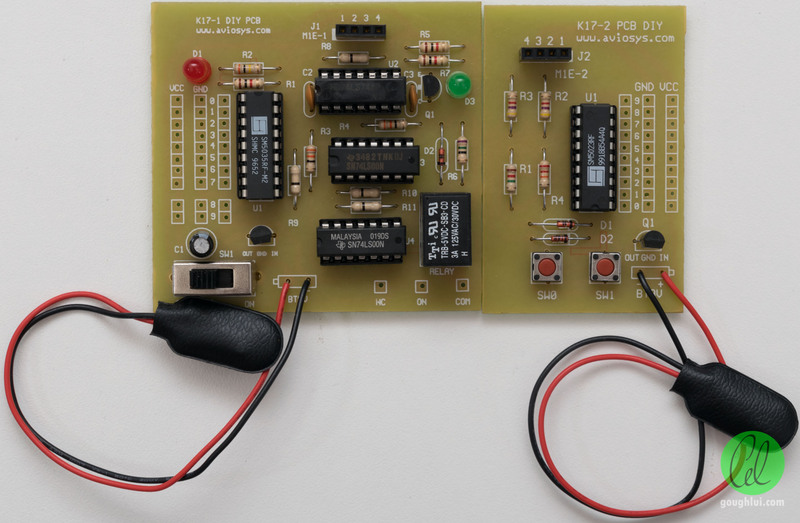 Powering both parts with 9V, pressing SW0 on the transmitter causes the relay on the receiver to turn on and pressing SW1 causes the relay to turn off. Unfortunately, it seems that the radios may have suffered some de-tuning in their ageing and there is some oxidation in the contacts on the tactile switches as I was only able to get reliable operation up to about one meter and that is pressing hard onto the buttons. An on-command pulse train looks as follows. It seems this transmitter uses “fixed” bit times with a short-on coding one state and a long-on coding the other. As a result, the on command appears to be 1010101010101010101011001 for a total of 25 bits with a majority of them potentially being preable. Holding the button down sees the command sequence being repeated 18.92ms later and continuously until released. The repeated code is identical to the first. A closer look at the bit times seems to show each bit lasts 594uS with 150uS for short and 444uS for long states. 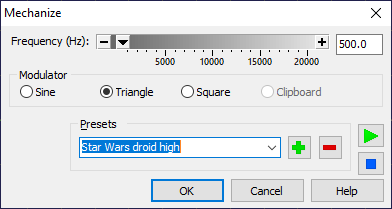 The approximate bit-rate is 1684bit/s. 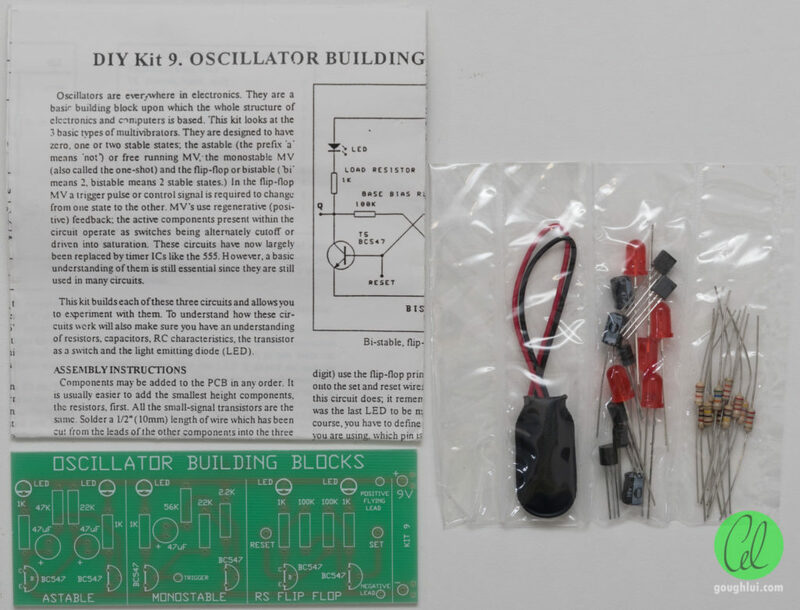 The final kit in this post is the KD6010 Educational Oscillator. 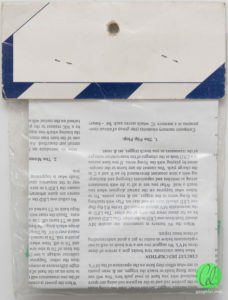 This simple kit is packaged in another retail “hanging card/bag” style packaging, in a thin plastic bag. 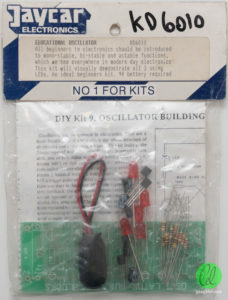 The kit introduces beginners to monostable, bistable and astable functions – apparently requiring a “9V bettery [sic]”. Looking through the plastic, it’s no mystery as to what this kit is. Taking it out of the bag, there is a leaflet, the PCB and a bag of components which have been heat-sealed and divided into categories. 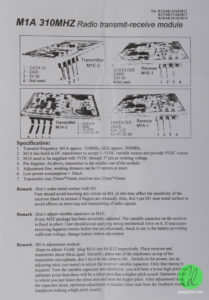 The leaflet is less-so an instruction leaflet but more of an educational one, which summaries the three circuit configurations on this PCB. The print is moderately poor in quality having appeared to have been photocopied and last dated 6/1997. The circuits are basically cross-coupled NPN transistors, much as in the classic flashing LED circuit (astable), with slight variations to create the monostable and bistable configurations. A flying positive/negative lead is touched to the trigger/set/reset points to experiment – although it seems the design is a little risky as it may connect the base of the transistor directly to positive which is not a good thing to do. 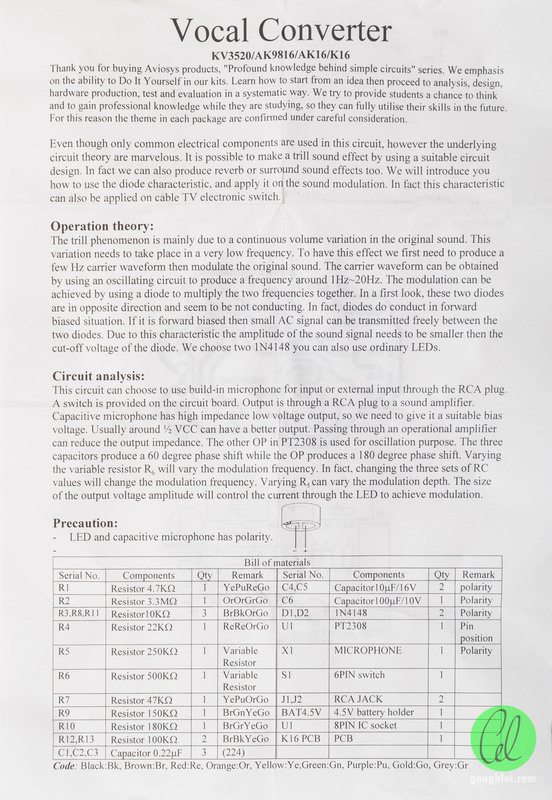 Luckily the internal resistance of the 9V cell is enough to prevent any great harm. The “instructions” are instead on the silkscreening on the top side of the single-sided PCB. The clear labelling shows the values and positioning of each component. 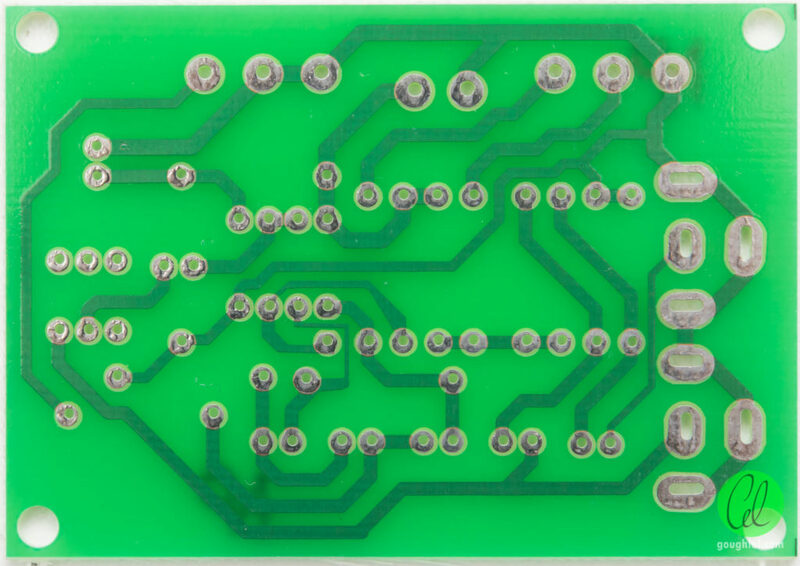 The underside is a tin-plated finish with solder-resist, Generously sized donuts for most connections and generous spacing for transistors is the norm, as the kit is intended for beginners. 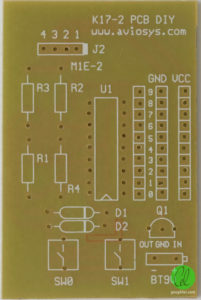 The staggered base lead on the transistors also helps reduce the chance of solder-bridges. Unfortunately, there is nothing supplied to form the contacts for the flying positive/negative leads, set/reset and trigger points, so I substituted my own header pins. Building it was a very simple affair … plop the components in, bend the leads and solder them down. As I’m not used to building “educational” kits, I tended to bend the resistor leads a little too closely at first. However, it was simple to build and the board definitely felt of better quality than the last. It is probably a locally designed and produced product, unlike the Aviosys-sourced products above. As usual, there was no spare parts with the kit. The circuit behaved as I expected, with the toggling LEDs on the astable, although slightly less “decisively” than I imagined. The monostable needed to be triggered to time a given time before switching back off, while the R-S Flip Flop acted like a latch, as expected. 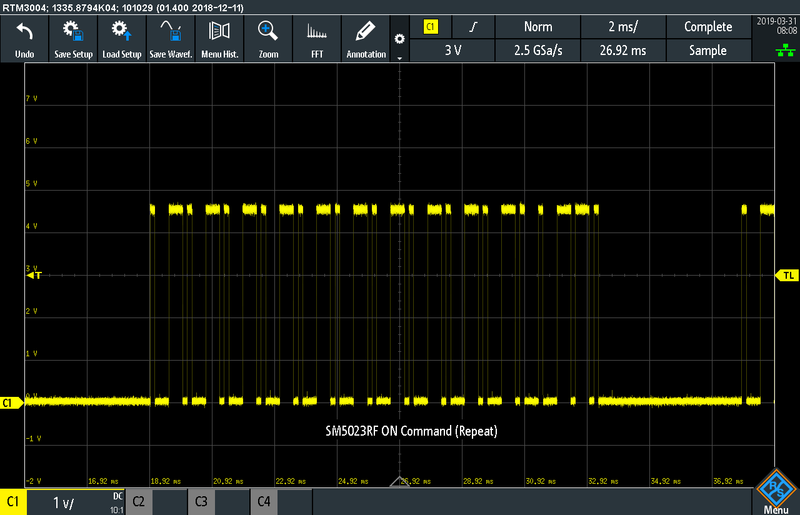 As the connections are directly to the rails, I found the LEDs dimmed significantly once touching connections to the Vcc line – a direct short between a 9V Vcc and NPN BJT base is probably not the best idea. While I managed to pick up the kits for some change at the field day, I have no idea how old they are. I suspect they could have been picked up from a close-out sale possibly in the early 2000s, so they have been sitting about for a while. Unfortunately, I couldn’t get the first kit working – I’m still not sure why. 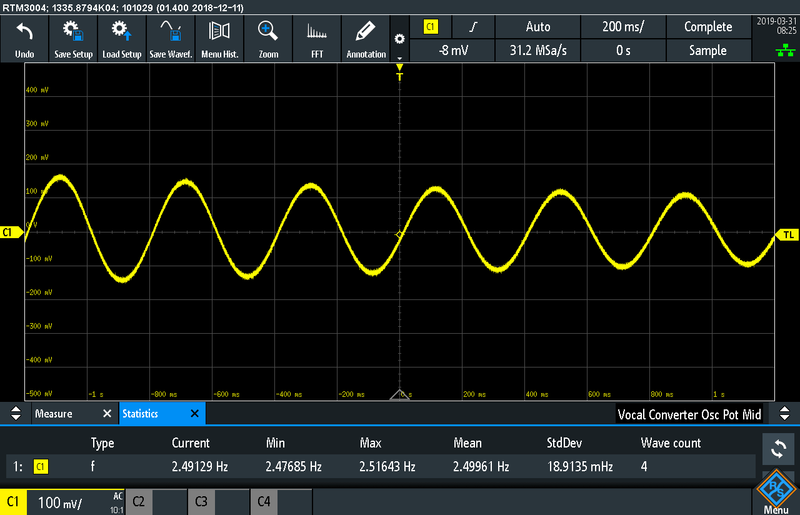 The oscillator stage didn’t seem to achieve the frequencies I expected, so I suspected perhaps I got a component in the wrong place, but after a quick check, I couldn’t find it. The second kit wasn’t working too well, I suspect due to de-tuning of the transmitter/receiver modules as the RF encoder/decoder chips were still working well. The quality of the boards were somewhat poor with drilling all-over-the-place and components that didn’t properly fit. Post-soldering, the relay seemed to leak some oily substance as well. Perhaps the kits were rejects – both the first two kits appear to be Aviosys products being rebranded Jaycar. 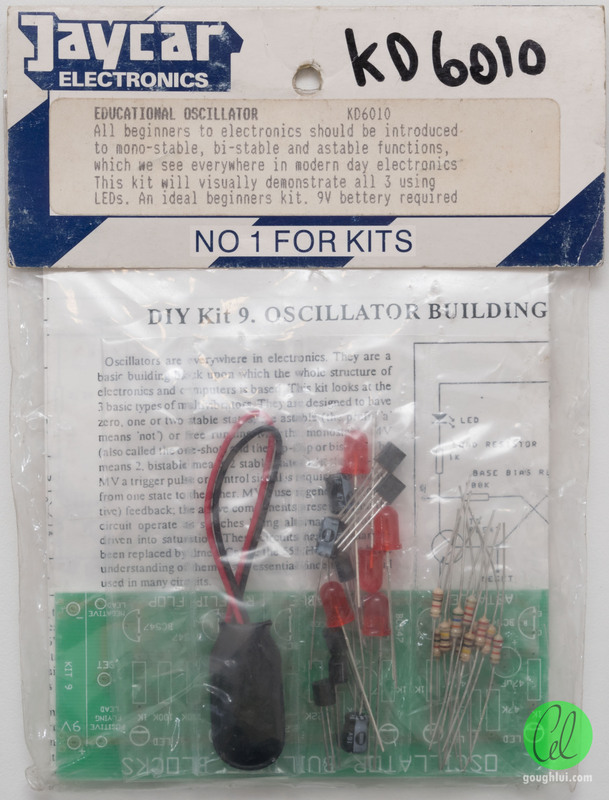 The final kit was a very simple one, basically three configurations of the classic cross-connected BJT LED flasher circuit and worked just fine, although having flying leads shorting out transistor bases directly to 9V Vcc is probably not advisable … thankfully the internal resistance of the 9V cell prevents anything bad from happening. 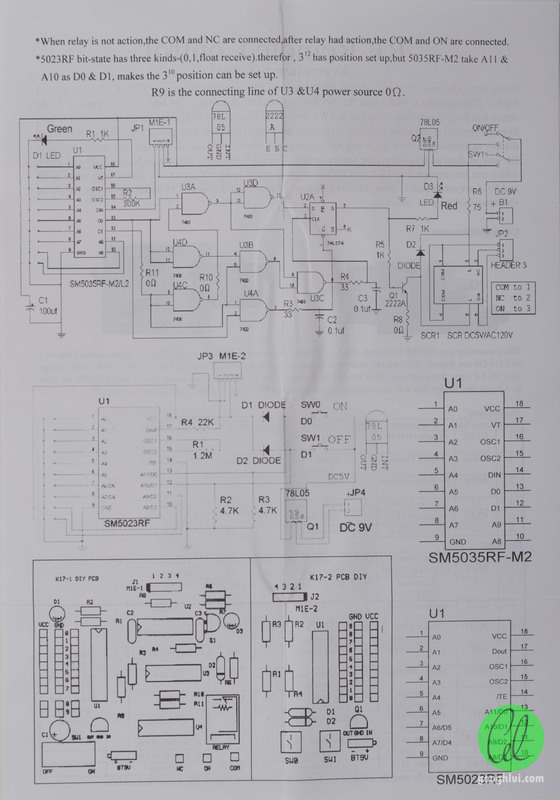 This entry was posted in Electronics and tagged cheap, electronics, kit, vintage stuff. Bookmark the permalink.